erussell had the most liked content! And muzzleloader season changed to flintlock only. I still want to see antler restrictions 4 to a side. I hardly heard a shot all season. Deer are walking around like the season isnt even going on. Lost my oldest pup this morning. Sorry for your loss. lossing dogs is hard. They are my family. I say get rid of all the individual seasons and just have one season. Use what you want to. The only reason they have all the individual seasons is to make more money. Just charge one price say 50$ and use what you want. I always tell everyone i hunt with. Lungs , heart, or liver. You don't hit one of those and i shoot it in the vitals i dont want to hear your sniveling. Shot a doe one time and it had been shot in the foot. A guy came up after i got done gutting it and ssid he hit it first. I pointed out it was in the foot and he was now on private property and in the most subtle way i could told him to piss off. Lungs, heart, or liver and learn how to shoot. Only been out 4 times so far from oct 1st. 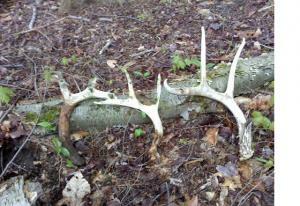 2 of them were a bust with no deer. 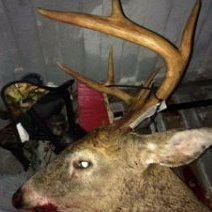 One i had a 4 pointer come in and lay under me till almost 7:15 pm while i froze in the dark waiting for him to leave. 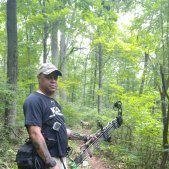 My last hunt last fri i had a good 8 about 2.5 yrs old chasing a doe around and under my stand for a half hr before he gave up and went looking elsewhere. Still needed a few yrs so i let him pass even tho he was pretty wide he was kind of scrawny. Was looking forward to this week but it hasnt stopped raining when i can hunt. Couldnt help myself little chilly out had to sit one night this week. If i had shot every big buck that outsmarted me i would have to buy a bigger house. Use to sound like a war zone in 7s for three weeks of gun. Now all you here is a few shots first day and maybe a few days after then nothing.